One of the goals of Continuous Integration andContinuous deployment is that once the code is pushed to the repository it should be tested, built and then packaged for deployment. 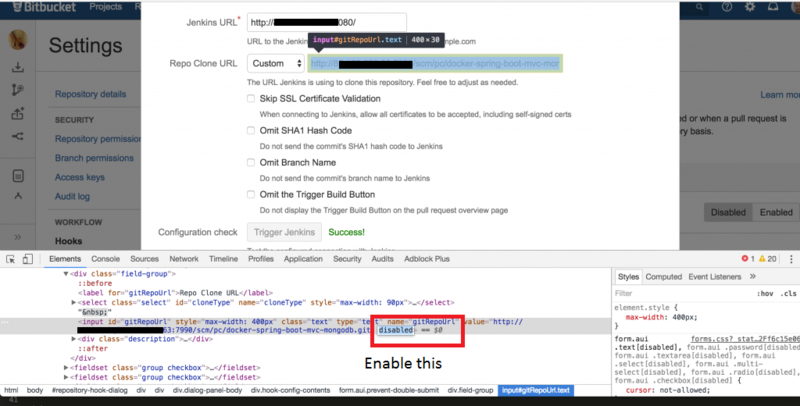 BitBucket webhook makes is possible to trigger real-time notifications to Jenkins server so the auto build starts as soon as the code is pushed. Once you have installed BitBucket server on your machine, make sure that it is working. The default port is 7990, so you should be able to access it by using localhost: 7990. Click on Settings and on the left side under ADD-ONS, click on Find new add-ons. 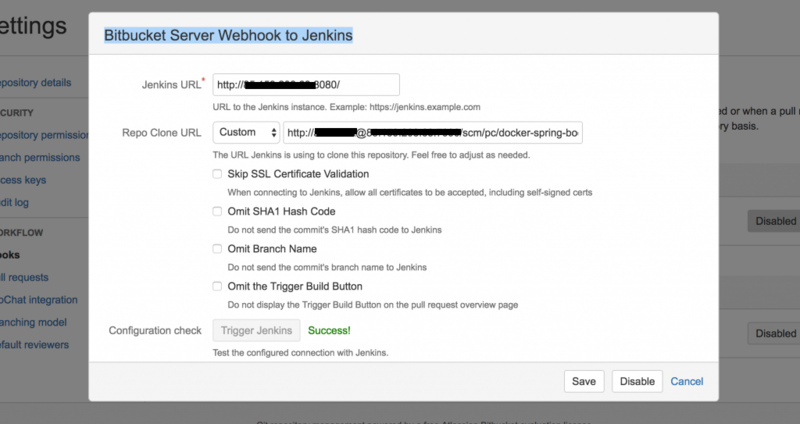 In Jenkins go to Jenkins->Plugin Manager and install BitBucket Plugin and then restart Jenkins. Now go the Job, which you have created and under Source Code Management Plugin, give the GIT Clone URL as shown below in the screenshot. b. Repo Clone URL: Select the URL and the same protocol which BitBucket is providing you to clone. In case username is missing from the URL, we need to add it manually.I had to use Chrome Developer tools and remove the disabled flag from the input box and then add username manually. Click on Trigger Jenkins if it says successful everything is fine.